The company, which runs food shops and funeral parlours as well as offering insurance and legal services, made a pre-tax profit of ?72m in the year to Jan 6, up from a ?132m loss the year before. It also sold 298 very small shops to rival McColl’s, which left its annual food revenues flat at ?7bn, despite a 3.4pc rise in sales from the remaining stores. The chain plans to open another 100 shops this year, taking its total beyond 2,600. The previous year’s loss came after a ?140m writedown of the group’s stake in its eponymous bank, which it has since sold. The troubled lender was bailed out by US hedge funds four years ago after it discovered a ?1.5bn hole in its balance sheet. 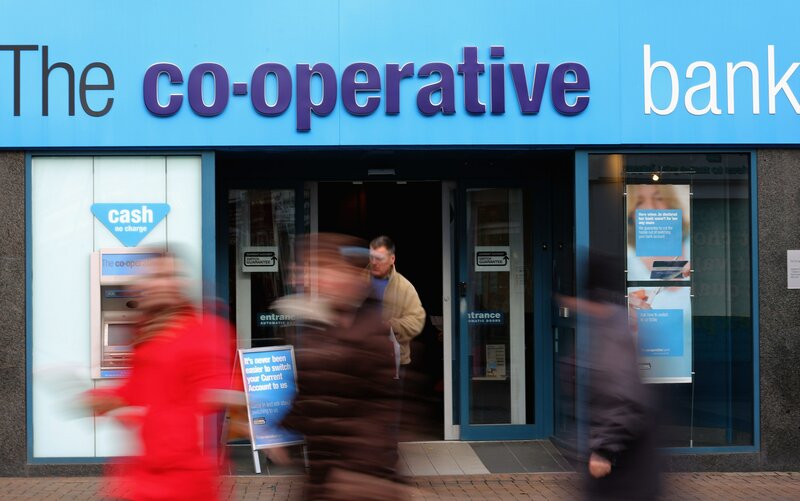 A second rescue deal last year saw the Co-op shed the last of its holding. Group revenues were flat at ?9.5bn and the company said it had saved ?16m by cutting back office costs. Turnover in the Co-op’s insurance business, its second largest division, officially fell 25pc because of a new reinsurance contract that forced it to change the way it accounts for revenues, but gross written premiums were up 3pc at ?496m. The Co-op also announced plans to sponsor 28 academy schools in the next three years in addition to the 12 it already has. It hopes to hire 250-300 workers from the schools by 2022, but Mr Murrells said the move was based on its aim to “do good in society" rather than for business reasons.